Founder of Oncomatryx and other biotech companies including Patia and Progenika, which he later sold to Grifols for €90m EnValue. 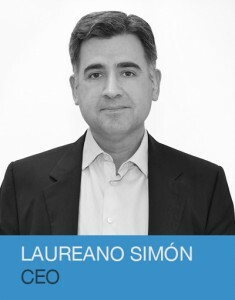 Laureano has received the Eurowards Award for Entrepreneurs (2004), Ernst & Young Year’s Most Innovative Entrepreneur (2010), and the Ruban d´honneur in the European Business Awards, HSBC Bank (2011). He holds a PhD in Biochemistry and Molecular Biology from the Autonomous University of Madrid, a MSc in Biotechnology from the University of Navarre, a MSc from the University of Wisconsin-Madison, and a BSc in Pharmacy from the University of Santiago de Compostela.